At LifeCare Pharmacy, we take pride in the accreditations, education and certifications that we have earned. A national organization developed by home care and alternate-site health care industry providers. 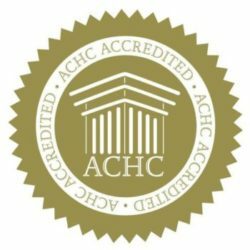 ACHC’s board, advisors, surveyors and staff are committed to providing the industry with an accreditation program that helps organizations improve business operations, quality of patient care and services. Copyright 2019 LifeCare. All Rights Reserved.